If you are like me when I was an adolescent, you may realize that some pretty big things have changed in your life. For example, when I was eight years old, I remember thinking about how simple everything was — enjoying a bike ride around the block, having time with a friend, or just watching television at home with my family. Then, when I was 13, I remember preparing a pup tent with my buddy for a camping trip at summer camp. Tommy just stared at me. “ENOUGH!” Tommy said as he walked away. But I could never quite walk away from that thought. Somehow I knew I’d never be the same. Not just because of those existential thoughts — reflections on time and life and its meaning. Thoughts about how nothing lasts, how life is finite, on and on about our existence. So first I looked into studies of the adolescent brain, and found some amazing new discoveries. Then I looked at the available books for teens and older adolescents to read, and found that there was nothing available. So I turned to the adult books, and again found zippo. There wasn’t even a book that could help both the adolescent and the adult — whether they were a parent or caregiver, teacher, coach, or therapist — learn what is going on during this important time. So I asked my two adolescents and their friends what they thought about a book that could be read by both age groups — a book that might bust some of the myths that are not only wrong, but often insulting to adolescents, and certainly disempowering. They said that it would be useful, but not really possible to write. I tried to put something together, and let me tell you, of all the books I’ve written (I’ve written eight others), this was the most challenging. I asked adolescents and adults to read the first draft, re-wrote it based on their responses, and then sent it out again and again for feedback and changes. When Brainstorm was finally done, it met the approval of both adolescents and adults, so I felt it was ready for release. What emerged from all the research and synthesis, writing and re-writing, was a simple summary word; an acronym that holds the whole together. Here it is: ESSENCE. ES stands for emotional spark — the way the adolescent brain changes enable emotions to influence our thinking more than in earlier or later years. The reason? To energize adolescents to leave home and be out in the world. The downsides? You can get pretty flooded with emotions, or feel irritable or moody. The upside of this increase in emotions is that life can be filled with passion and purpose, vitality, and aliveness. That’s really what these emotions can give you. SE is for social engagement — the adolescent brain’s changes, in an area called the “limbic region,” encourage you to connect more with peers, to lean on them when you feel upset more than you used to on at your parents. The reason for this move toward your peers is that when you are finally out of the home, you’ll need the social skills to survive and do well in life. Relationships are a crucial part of living a full life. The downside? Sometimes we can give up our sense of morality–of right and wrong–for the sake of membership in a peer group. But the upside can be maximized if we develop an “internal compass” that keeps us connected to our personal values so we don’t fall into the trap of peer pressure. Then we can enjoy the great result of good and meaningful friendships. N is for novelty — seeking new things like new experiences, ways of thinking, environments, adventures. The reason for this novelty-seeking is to prepare you to leave the familiar, certain, comfortable, and safe home you grew up in. Two processes in the brain create this change. One is an alteration in the reward circuit of the brain that basically increases the release of a natural substance in your brain called dopamine. Novelty is a great way to release dopamine. The other change is in something called hyper-rational thinking, where you mostly focus your attention on the exciting parts of a choice and pay little attention to the potential harmful parts. The downside of novelty-seeking is that adolescents are three times more likely to have an avoidable event with long-term consequences, like bodily injury or death. Because many addictive activities involve the dopamine system, it is during adolescence that we are most likely to develop a dependence on tobacco, alcohol, or even sugary foods. Yikes! So what’s the upside? Novelty-seeking gives you the courage to leave home — and to try out new ways of being in the world. That’s pretty exciting, and necessary to support your transition into adulthood. CE stands for creative exploration — the way we challenge our minds to think in new ways, and push against the status quo, to think about a world that could be, not just how it is. What’s this creativity for? In small and big ways, exploring the world with your mind allows you to be more adaptive. As the environment we live in is always changing, it is adolescents who are the ones most prepared to take on an ever-evolving world. The downside is that you can feel let down by adults, now that your mind has developed to challenge their authority and wisdom. You can feel disillusioned and disoriented as the world you just accepted as true and the “way it must be” is now seen with fresh eyes. And adults can get challenged and irritated with this adolescent freedom of thinking, too. But the upside is huge. You can take on the world in new ways, finding creative solutions to some problems that others may not have been able to solve. Not only is ESSENCE something you can learn to optimize in your own life, but it turns out these four features are something that as adults we need to hold on to. When you summarize the adult brain research and ask about the top factors for keeping the brain growing and functioning well across the lifespan, they are these: keep passion in your life with an emotional spark, keep supportive friendships going with social engagement, keep trying new things, and keep challenging your mind with creative exploration. It turns out that the ESSENCE of adolescence is also the ESSENCE of living a vital life whatever your age. That’s why Brainstorm offers something important for both adolescents and adults. It’s also why adults have a lot to learn from adolescents! It is the adolescent mind that has provided the most innovation in art, music, science, and technology. Now more than ever, our world needs the courage, creativity, collaboration, and passion of adolescence! Adolescence is not a time just to get through; it is a time of great power and purpose. Because these changes are not due to “raging hormones” or “impulsivity” or “immaturity,” but instead are due to necessary and healthy changes in the brain, you can do something with your mind to strengthen your brain — to optimize how your brain functions and even how it grows, to minimize all those downsides and to maximize the upsides. Brainstorm offers exercises that help you do just that. The great news is that it’s in your hands — now you can be empowered with the knowledge and skills to optimize this time for yourself now and for years ahead! Enjoy your ESSENCE! Daniel J. Siegel, M.D., is a clinical professor of psychiatry at the UCLA School of Medicine and the founding co-director of the Mindful Awareness Research Center. He is also Executive Director of the Mindsight Institute, which offers online learning and in-person lectures that focus on how the development of mindsight in individuals, families, and communities can be enhanced by examining the interface of human relationships and basic biological processes. As an author who has published extensively for the professional audience, he serves as the founding editor for the Norton Professional Series on Interpersonal Neurobiology which contains over three dozen textbooks. The Mindful Therapist explores the application of focusing techniques for the clinician’s own development, as well as their clients’ development of mindsight and neural integration. Dr. Siegel’s book, Mindsight, offers the general reader an in-depth exploration of the power of the mind to integrate the brain and promote well-being. His book, The Whole-Brain Child, with Tina Payne Bryson, Ph.D., explores the application of the mindsight approach to parenting. He is the New York Times bestselling author of Brainstorm, which explores how brain development impacts teenagers’ behavior and relationships. He has been invited to lecture for the King of Thailand, Pope John Paul II, His Holiness the Dalai Lama, Google University, and TEDx. 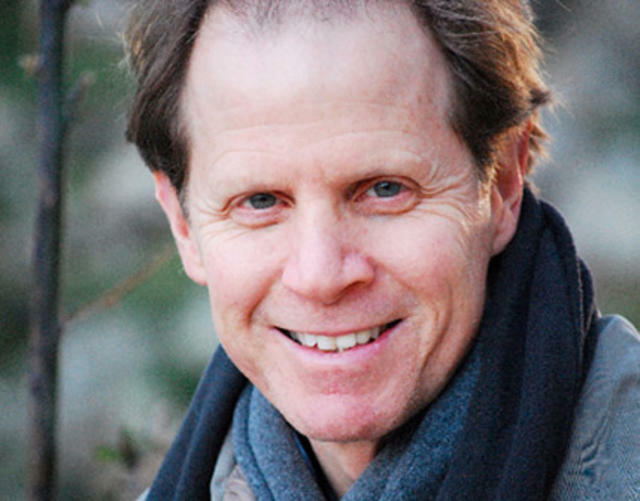 His website can be found at www.DrDanSiegel.com.